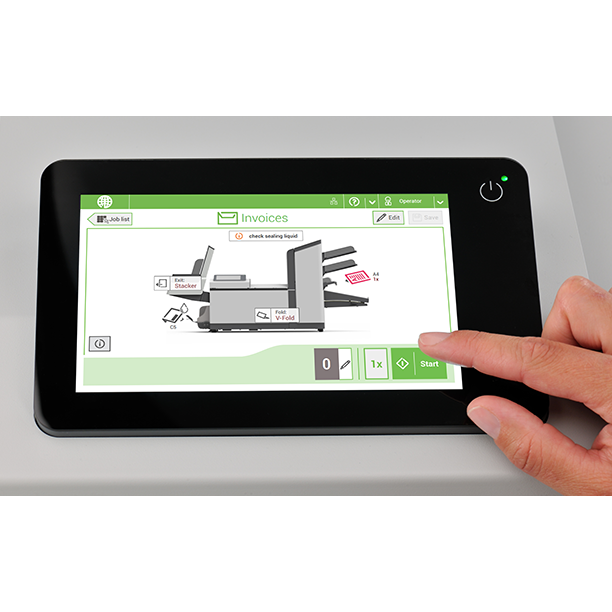 Ease of Use - The 7” color touch screen and wizard-based guidance, simplify operation. Quickly recall up to 50 stored jobs or create new jobs with ease. 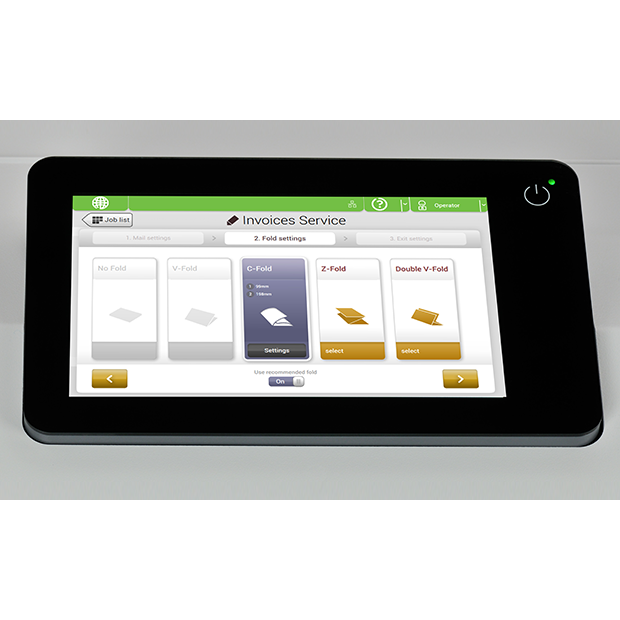 Load documents and envelopes, press start and the DS-64i automatically measures the materials and sets itself up. 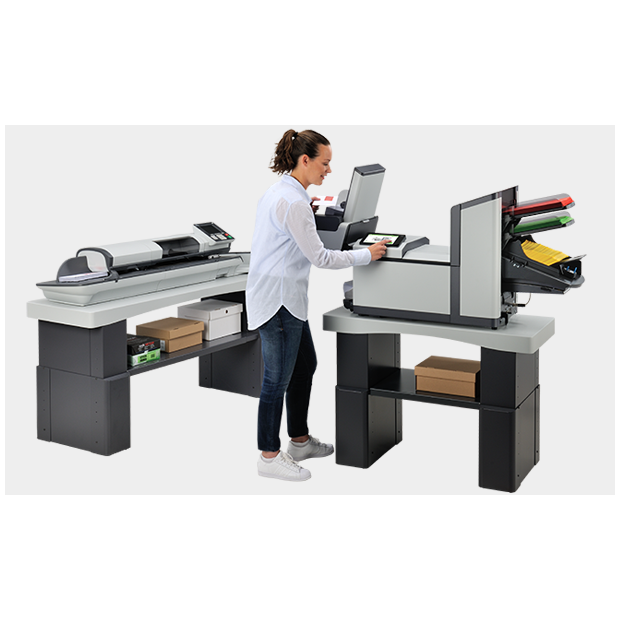 Productivity - Continuously feed 325 sheets from each feeder, or up to 650 documents using two feeders in cascading mode. 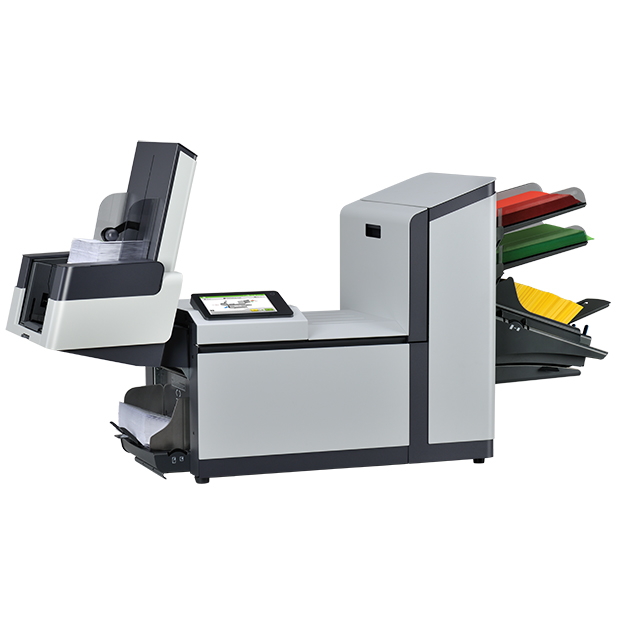 Automatically collate, fold, insert, seal, and count up to 2,000 mail pieces per hour. 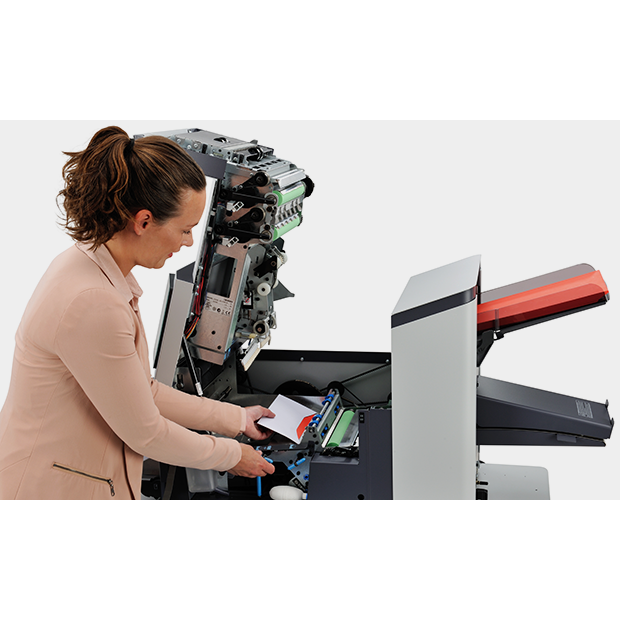 Further enhance productivity with the optional performance package and process up to 2,500 mail pieces per hour, increase folding capacity to up to 8 sheets single fold. Versatility - Document feeders accommodate a wide variety of material combinations, including full sheets, inserts and business reply envelopes. Four system configurations are available to meet your specific needs. Accuracy - Our exclusive feeder technology prevents double document errors. When equipped with optional barcode reading, you can process variable-page document sets and selectively include enclosures with absolute accuracy.